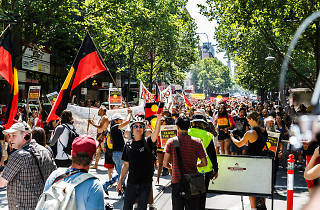 Every year, thousands gather at the steps of Parliament House to protest the date of Australia Day: a day that marks the landing of British colonial forces onto this country and the beginning of colonisation and oppression of First Nations people that still occurs today. All are welcome to participate in this event, which will begin at Parliament with the laying of flowers in memory of Aboriginal ancestors. Following some speeches, a march through the CBD will begin. 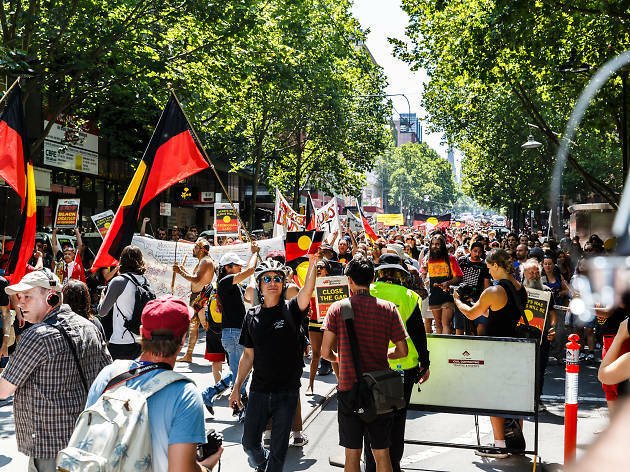 The event is also an opportunity to call for treaties for stolen land, and to stand up against ongoing oppression of Aboriginal people across the country.